Arun Vijay's Kuttram 23, which released last Friday, has been welcomed in a positive way by the audience with a good word of mouth. 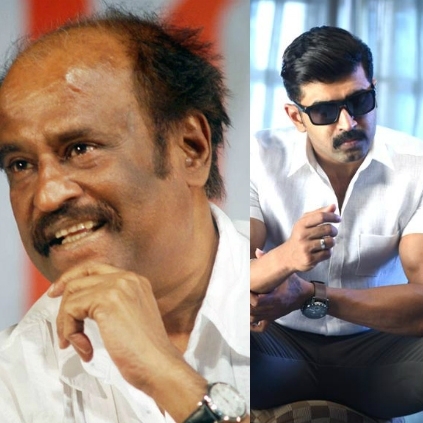 Arun Vijay had tweeted that Rajinikanth was watching the film yesterday (7th March). Now, the official statement has come from the team on Superstar's feedback after watching this Arivazhagan directorial. "This will be my most memorable moment in my life time. Superstar Rajini sir has watched Kuttram 23, and he was really impressed by the concept and making of the film. He appreciated me, especially for my body language that I have carried out in the film. I told Rajini sir that I was introduced to the industry by only him, and hence it is my responsibility to prove it. For that Rajini sir said, “You proved it.” What more do I need?” said Arun Vijay in a joyful tone. A moment to cherish for the K23 team! People looking for online information on Arun Vijay, Kuttram 23, Superstar Rajinikanth will find this news story useful.